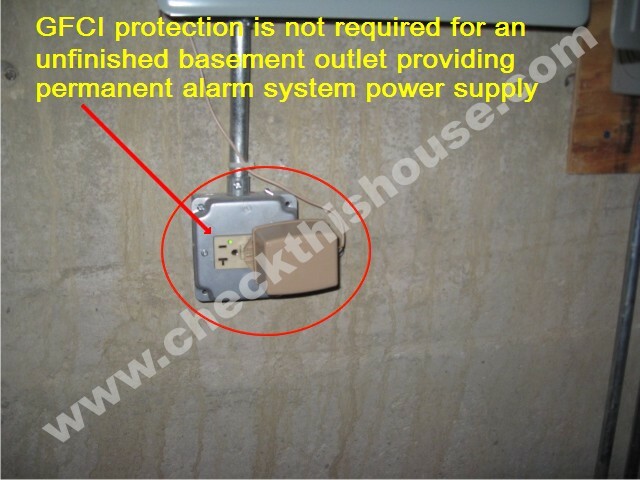 Unfinished basement GFCI receptacles installation or GFCI protection for a regular type outlet receptacles installed in an unfinished basement is required by the 2008 NEC (National Electrical Code). Unfinished basement it’s an area or portion of the basement area that is not intended to be used as a habitable room. Habitable room it’s a space arranged for living, eating or sleeping purposes (must conform to local building codes to be listed as such), but does not include bathroom / toilet rooms, laundries, pantries, foyers or hallways. 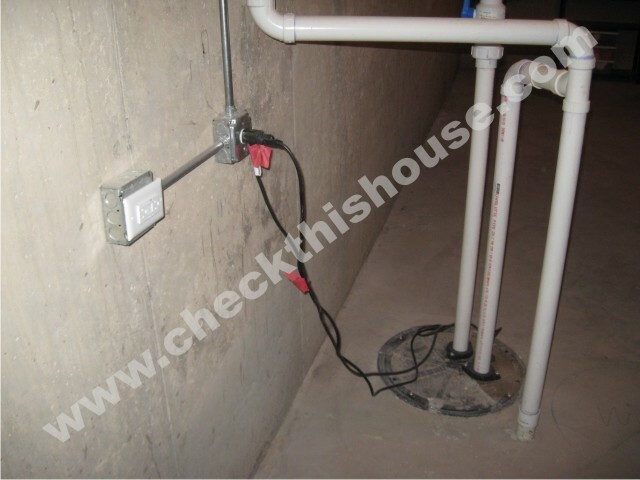 If you have a sump pump installed in an unfinished basement, it will have to be plugged into a GFCI receptacle, or an outlet protected by a GFCI breaker, just like the crawlspace sump pump. If you’re concerned about the GFCI receptacle tripping when the power to the sump pump is needed the most, battery operated backup sump pump would be your answer. Also, if you have a basement divided into a finished and more than one unfinished section, each of those unfinished sections must have an outlet, and it has to be GFCI protected. A receptacle that supplies power to the permanently installed security / burglar and fire alarm equipment, is not required to have a GFCI protection and should not be AFCI (Arc-Fault Circuit Interrupter) protected. This power source should be from an individual branch circuit, not shared with other outlets, lights, etc.